14k Gold Diamond Journey Pendant 5 Stone 1.75ctw. JPD171514K. Ships Within: 4-6 Business Days Need Your Item Sooner? 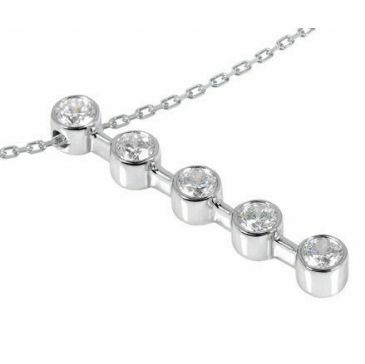 This Journey Diamond Pendant Features 5 Round Brilliant Diamonds in a drop formation. 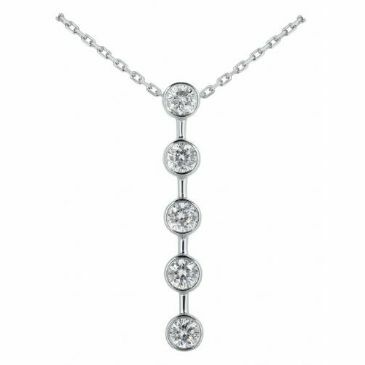 This incredibly beautiful pendant is meant to represent life's journey, with milestones in life denoted by the diamonds in the necklace. Gold Chain included. 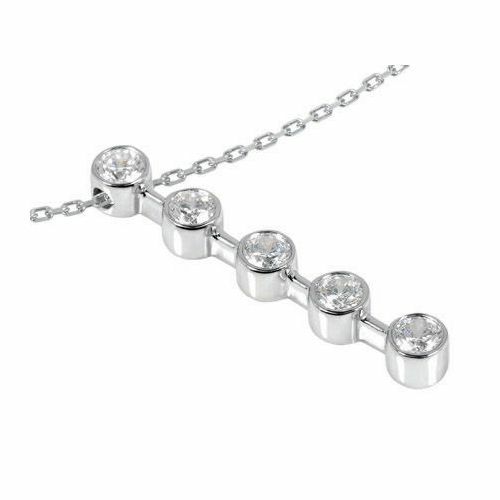 Our handmade pendants are as gorgeous and breathtaking as they are stylish, yet simple. The designs included in this collections are timeless and unique, and are sure to sweep her off of her feet! All of our products are manufactured by the hands of one of our skilled craftsmen in our on-site factory located in the Diamond District of New York City, right here in the USA.